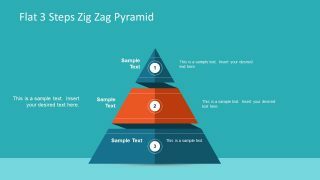 The Flat 3 Steps ZigZag Pyramid is a ribbon shape triangular diagram template. 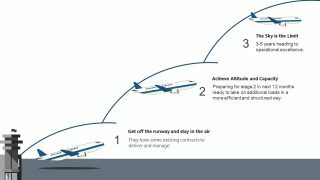 It is a 3-slide PowerPoint to demonstrate business and academic concepts in three stage levels. The template provides flat vector shapes join together as triangle of zigzag ribbon. 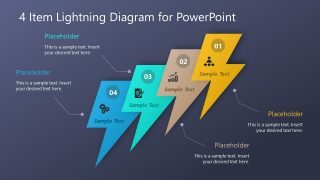 These shapes are fully editable, enabling users to modify a range of personalization features of PowerPoint. 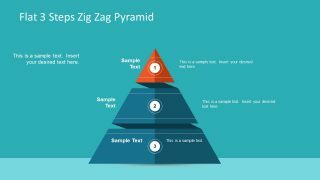 Initially, zigzag pyramid template provides circular icons in the middle of levels to display numbers. But users can replace these numbers with infographics as visual illustration of titles. Further, the zigzag levels of triangular diagram include shadows depicting two dimensions of pyramid. 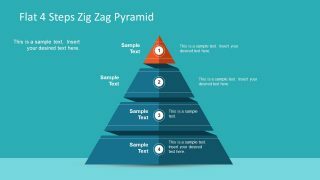 The users can alter green and eye-catching tangerine color of diagram to highlight pyramid differently. 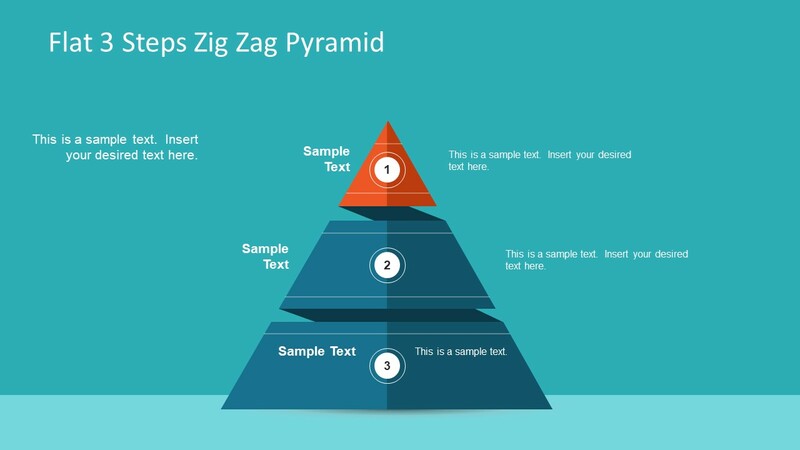 The Flat 3 Steps ZigZag Pyramid is a multi-purpose PowerPoint template with simple layout. The professional from different fields can present various concepts. Such as process stages or pyramid hierarchy of organizational structure. The pyramid diagram helps demonstrate organizational relationship, growth stages, and phases of project management. Simply edit the text placeholders by adding useful textual information about the original presentation. 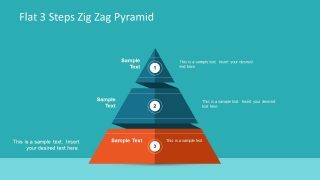 Moreover, apply animations to create an effect of color transformation on each stage of zigzag pyramid. 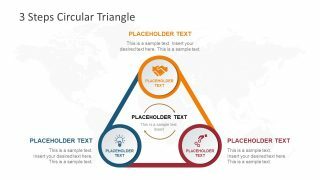 Find more collection of SlideModel diagrams in pyramid shapes here.